On the most important day of your life, choose the musical accompaniment to make the day of your dreams a reality. 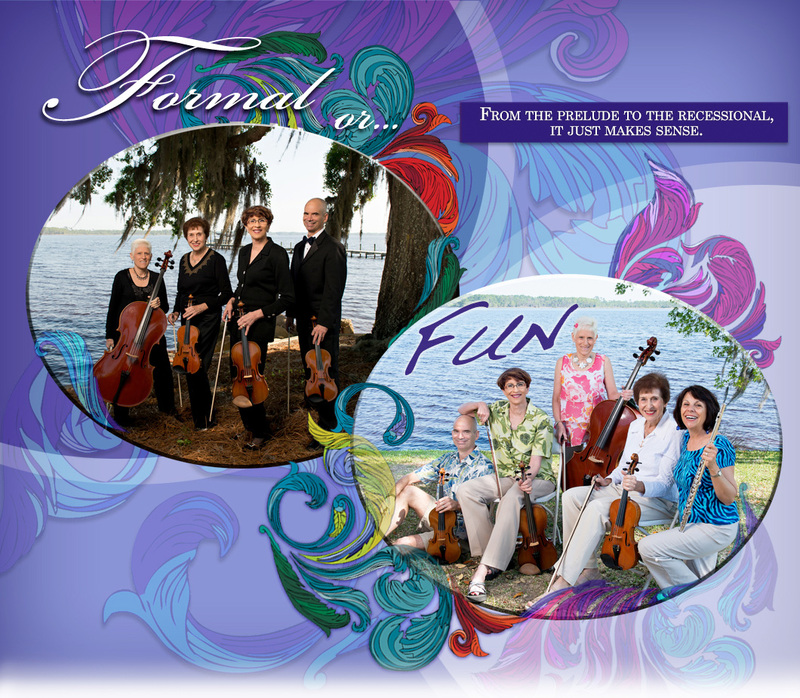 WeddingMusicPlus,Inc., is reputed throughout Panama City and Destin, Northwest Florida and the Emerald Coast for its professional string music for both traditional and non-traditional occasions and events. We specialize in strings, however, other instruments may be available upon request. Various elegant string ensembles are available to best suit your personal taste and budget. Instrumental amplification is provided at no extra charge. Whether your occasion is classical or contemporary, formal or casual, intimate or grand, you’ll receive the impeccable attention to detail that will ensure your special day will be nothing short of perfect. Your ideas and our experience will set the mood and create just the vibe you’ve imagined to complete your unique celebration.